I’m delighted to have an article on the Scottish History Network blog today. 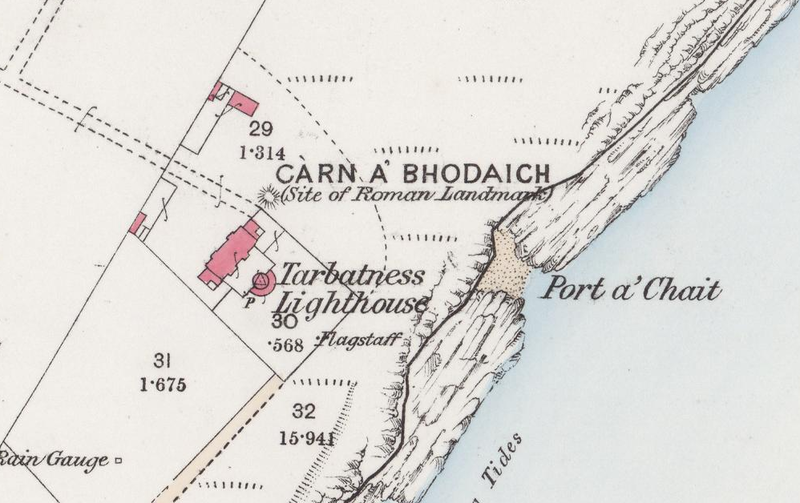 It describes the effect of growing up at Tarbat Ness Lighthouse, with its centuries of history right beneath my feet. I write about a grassy mound just outside the lighthouse complex that I thought might be a Viking burial mound, but was more likely to be the result of digging the lighthouse’s foundations. Since writing the article, I’ve discovered a little bit more. 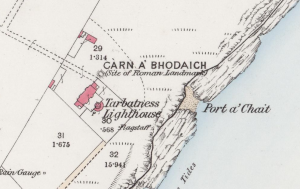 The 1873 Ordnance Survey map of the area shows the mound, with the name Carn A’ Bhodaich – Gaelic for “Old Man’s Cairn”. It says it’s a “site of [a] Roman Landmark” on the map – a beacon, maybe? I checked out the site on Canmore, which is a lot less definite! “Beacon (Period Unassigned) (Possible)”. Ah well. Looks like it’s still a mystery. Roman beacon, Viking burial mound, or Regency-era engineering… short of digging it up, maybe there’s no way to know.